TCC moved up to No. 5, seven spots higher than one year ago, in the rankings produced by the editorially independent news project. Tidewater Community College is among the top two-year schools in the nation for veterans, according to rankings released by Military Times on Nov. 20. TCC moved up to No. 5, seven spots higher than one year ago, in the rankings produced by the editorially independent news project. More than 600 colleges took part in this year’s detailed survey that evaluates factors that make colleges and universities a good fit for service members, military veterans and their families. Brown said the CMVE continues to work to secure approval for students to use GI Bill® benefits and SkillBridge funding. TCC’s Career Studies Certificate in Inside Machinist is among the new programs established in the last year. The certificate, which provides opportunity in the manufacturing and maritime industries, is ideal for veterans and transitioning military. Earlier this year, TCC also began a digital court reporting program specifically geared toward military and their families. TCC and Virginia Natural Gas are recent partners in a workforce initiative directed at transitioning military. The college partners with the Department of Energy and Navy Region Mid-Atlantic for its Solar Ready Vets program that prepares transitioning sailors for potential employment in the solar industry upon discharge. TCC is one of two community colleges in Virginia recognized by Military Times. Southwest Virginia Community College ranks 15th. Military-related students make up about one-third of TCC’s enrollment. 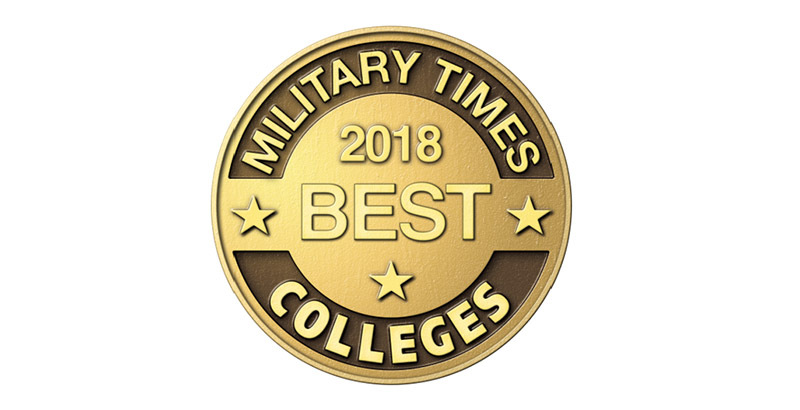 Military Times’ annual Best Colleges survey asks colleges and universities to meticulously document a tremendous array of services, special rules, accommodations and financial incentives offered to students with military ties; and to describe many aspects of veteran culture on a campus. The rankings are published in a Military Times magazine sent to subscribers the week of Nov. 20, as well as online at MilitaryTimes.com, ArmyTimes.com, NavyTimes.com, AirForceTimes.com and MarineCorpsTimes.com. The 2018 rankings and survey methodology can be found on the Military Times website.